Some months ago I was asked how one could change the line style within a “Line Chart” for distinguishing between actual and planning figures. How can we manage that in QlikView? As you can see above both, actual and planning figures are stored in the field “Sales”. Now just create your chart as usually, using “Customer” as dimension and “sum(Sales)” as expression. Furthermore you could use the tag <Wn>, where n defines the width of the line, e.g. <W2.5>. 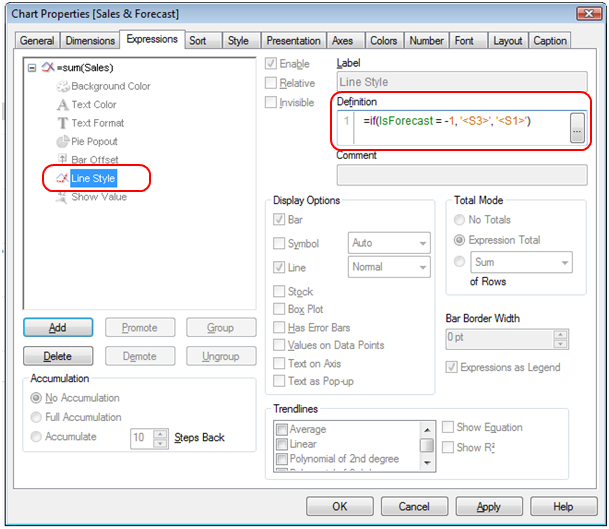 It is really worth having a look at the chapter “Line Style” or in general “Attribute expressions” in the QlikView Reference Manual. 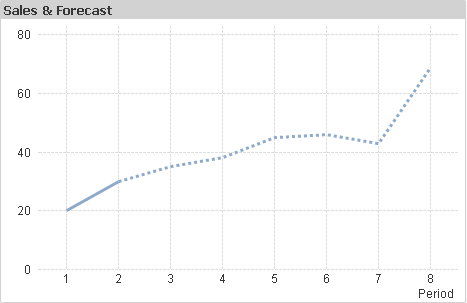 and tagged Attribute expressions, Charts, Line-Chart, Line-Style. Bookmark the permalink. Both comments and trackbacks are currently closed.